Our classic shape collection, this is how our journey in Second Life began. Today, MADesigns PREMIUM Shapes are better than ever! Each shape in this collection is a marriage of 3 MADesigns products: shape, hair and eyes. All of which are now included in the shape package. Great value, stylish and up to date MADesigns PREMIUM Shapes are your doorway to better social life, giving your avatar image it needs to confidently interact in all social occasions. 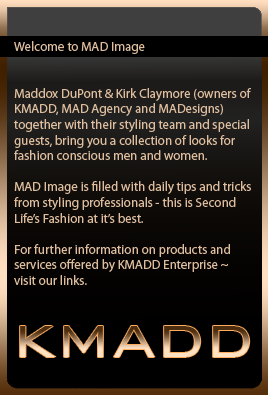 PACKAGE CONTENT: MADesigns PREMIUM Collection includes MADesigns shape, hair, eyes and style pictured on our shape vendors. All MADesigns PREMIUM Shapes include a complimentary Body Adjustment. If you would like to make changes to your body you got professionals at your disposal who can do it for you. Complimentary Body Adjustment is exclusive @ KMADD. So, if you are paying the same price for a shape anywhere else and you are not receiving this service or extras (hair & eyes) – you are paying too much!